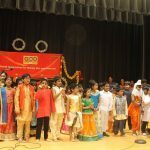 By the grace of Sri Guruji, the Boston Gopa Kuteeram Annual Day function on May 5th was a grand success. 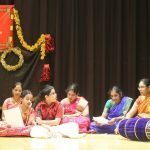 In a one-of-a-kind event, the Annual day was celebrated by the Boston Gopa Kuteeram Students as a celebration – as an offering to Madhuri Sakhi Sametha Sri Premika Varadan and our Guru Maharaj – under the title “Kondadu Panpadu” – by blissfully celebrating the ‘Radha Kalyanam’ of the divine couple. 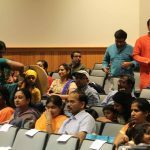 Madhuri Sakhi Sametha Sri Premika Varadan from Virginia Namadwaar kindly consented to come to Boston to accept the offering of the Boston students. 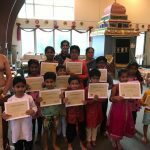 The 37 Students under 4 different Gopa Kuteeram Centers in Boston started off the program with Dhyana Slokas and set the mood of the program by singing the “Kondadu Panpadu” song in unison. 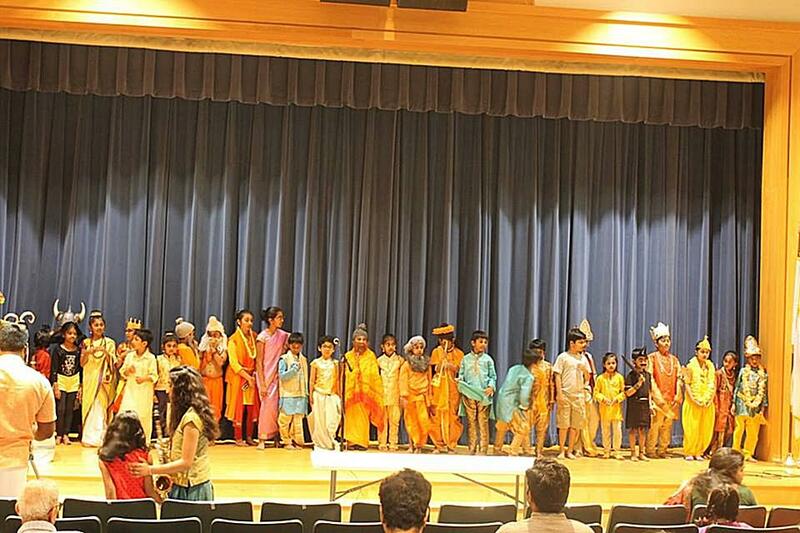 As a part of ‘anukaranam’, they enacted various stories from Srimad Bhagavatam, bringing out the message of Bhagavata Dharma. 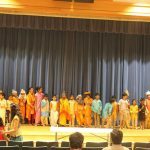 Birth of Bhagavatam and Narada Charitram by Acton GK, Dhruva Charitram by Norwood GK, Ajamila Charitram by Hopkinton GK and Ambarisha Charitram by Westboro GK students. 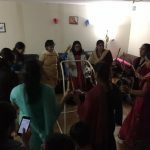 Then the Madhura Gitam students and Madhura Gitam Mahila Mandali led the Sampradaya Bhajans by singing Guru Kirtans, Nama Mahimai and the first Ashtapadi. This was followed by Janavasam. 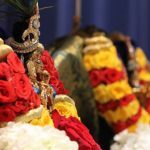 The boys of Gopa Kuteeram took Premika Varadan on a ‘Jaanavasam’ procession while the girls took Madhuri Sakhi on a procession. 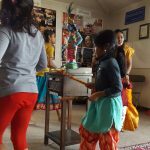 This was followed by ‘Maalai Maatral’. 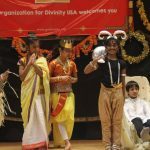 When the Divine Couple entered the Oonjal, all the kids recited the Kunti Stuti as a prayer to the couple in unison. 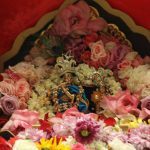 This was followed by Kalyana Ashtapadi and Sampradaya paddhati / Mangalya Dharanam. 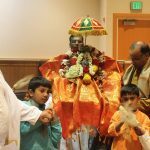 The Radha Kalyanam culminated in the kids singing Sri Swamiji’s thanksgiving Kirtan – “Dhanyoham Krishna” and rendering Hanuman Chalisa as the Hanuman Utsav, followed by Harathi. 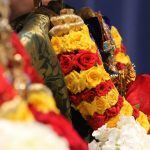 It was a divine experience for the parents that their kids were able to perform Radha Kalyanam to the divine couple. 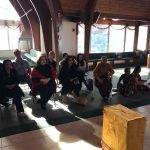 About 140 people attended the program. 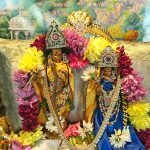 Sri Muraliji – Malathiji, Madhuri and Vidyaji had come from Virginia with Thakurji. 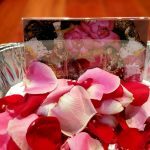 Hariji-Brahanji and their kids came from Houston. 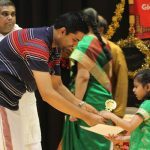 Santhoshji (Mylapore Brahmanand’s brother in law – Kainkarya Sabha) was also there. Our humble prayers at Sri Guruji’s feet for more and more such opportunities of satsang and kainkaryam.